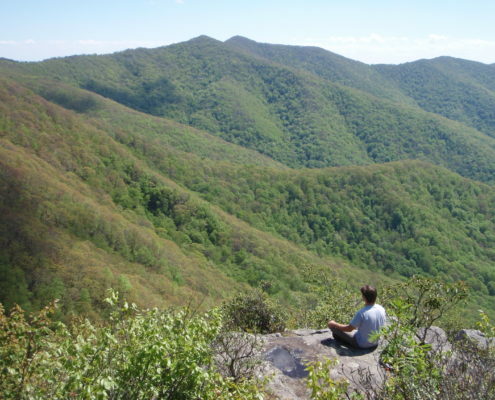 Southern Appalachian Highlands Conservancy works across ten counties in the mountains of North Carolina and Tennessee, spanning the Southern Appalachians from the edge of the Great Smoky Mountains National Park to the Highlands of Roan. Soaring to 6,000+ feet, the Roan Massif contains globally significant ecosystems that provide habitat for an amazing number of imperiled species. The well-known grassy balds, rhododendron gardens, and rich spruce fir forests are also treasured for outdoor recreation. The Black Mountains and Great Craggy Mountains reach above 6,000 ft and include Mt. Mitchell – the highest peak in the eastern US. We have protected tracts of land for inclusion in Mt. Mitchell State Park, sites along the Blue Ridge Parkway, headwaters of the South Toe & Catawba Rivers, thousands of acres in the Montreat Wilderness, and more. 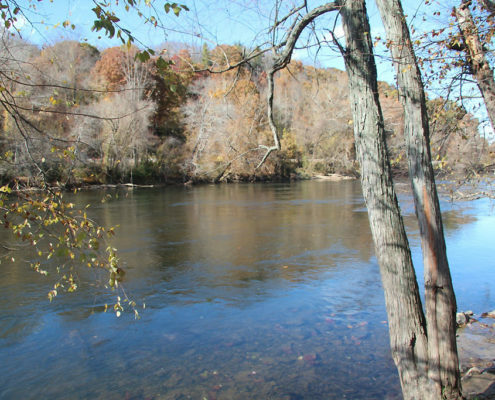 The French Broad River (the world’s third oldest river) is central to our region’s economy, tourism, agriculture, and way of life. This focus area includes a significant portion of the French Broad River Basin, as well as surrounding high grassy meadows, forested coves, and bottomland farms. Our conservation work helps preserve the recreational experience for hikers along the internationally recognized Appalachian Trail (AT). 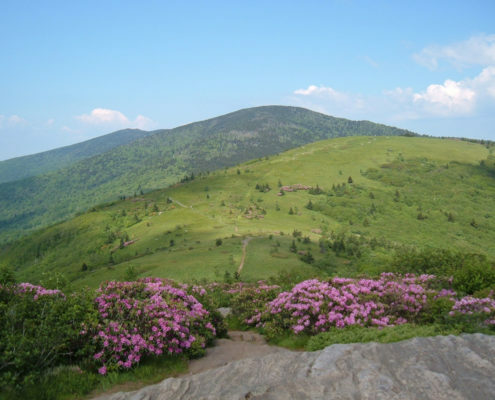 The opportunity to hike along the AT attracts upwards of 3 million visitors annually and brings tourism dollars to local Appalachian communities. 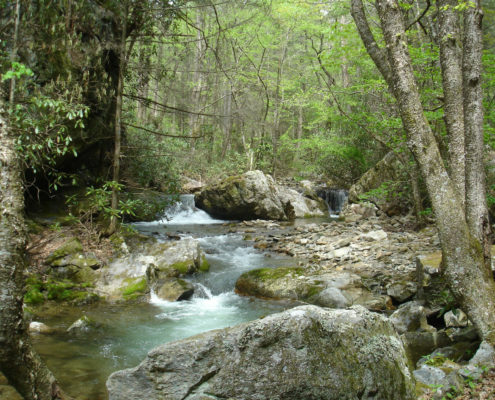 We have helped protect several special places near the AT, including the 10,000-acre Rocky Fork tract, Tennessee’s gateway to the Southern Appalachians. 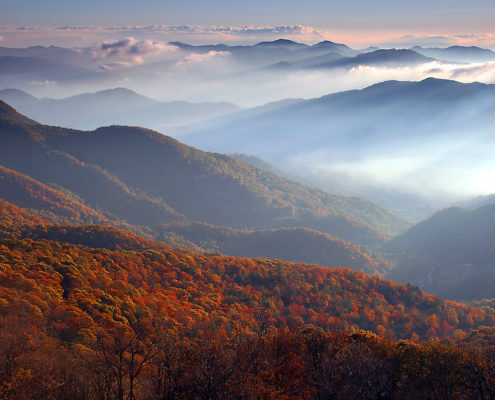 This area protects land adjacent to the Great Smoky Mountains National Park, buffering the eastern edge of the park (a World Heritage Site that draws over 10 million visitors annually). We work to expand the non-fragmented network of conservation land and create habitat corridors. 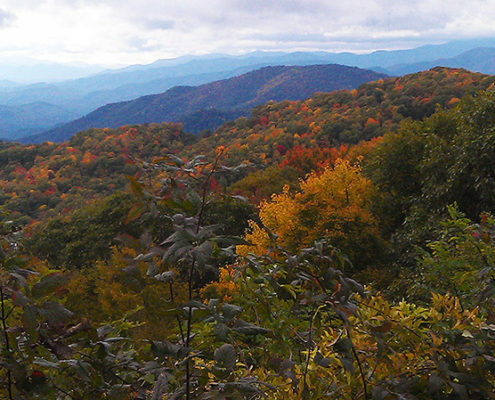 Our highlights in this focus area include Cataloochee Ranch and Blackrock Mountain, a prominent peak near the Blue Ridge Parkway.